Rexcursie was part of the exhibition Groene Vingers (Green Fingers), which took place in Het Glazen Huis on March 2009 in Amsterdam. 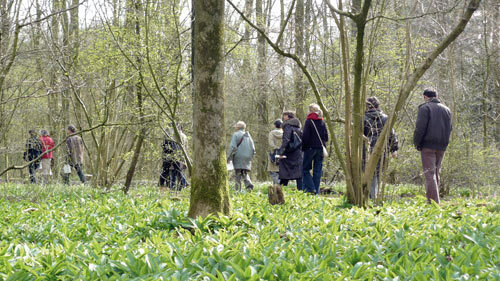 With the collaboration of IVN Amsterdam and Zet Foundation I organised two excursions in the Amstelpark in Amsterdam, together with neighbours, nature guides and park visitors. I asked each participant to choose a place beforehand that for a certain reason caught his or her attention. It could be a place that brought back a memory, a sense of nostalgia or inspiration, an annoying or a pleasant place. Then they had to take the rest of the group there. In this way we would create a new route concentrating only on the shared experience itself, guiding one another. Participants who were familiar with the park would take the lead more often. 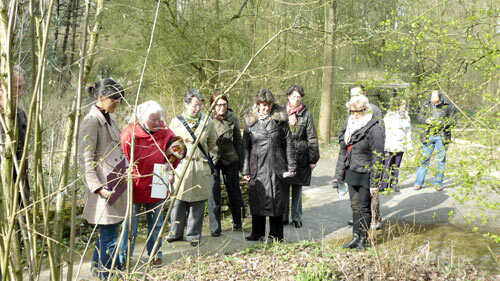 The nature guides from IVN had more scientific information about different plant and animal species. On the other hand, those who didn’t know the park would stop at places that caught their eye at that specific moment for a specific reason. The intention of this project was to create a new context in time and space where people would meet and share an experience that could enhance their awareness of that specific (nature) environment. It was also an attempt to break our Sunday afternoon routine.